Happy Monday! Hope everyone had a great weekend. Denzel Washington’s new movie "Equalizer" is one highlight from my weekend. The movie was awesome and hubby and I enjoyed the brilliant acting. Denzel never fails to deliver on a good movie. Now, I can't wait to see "Gone Girl". Have you watched any of these movies? What are your thoughts? 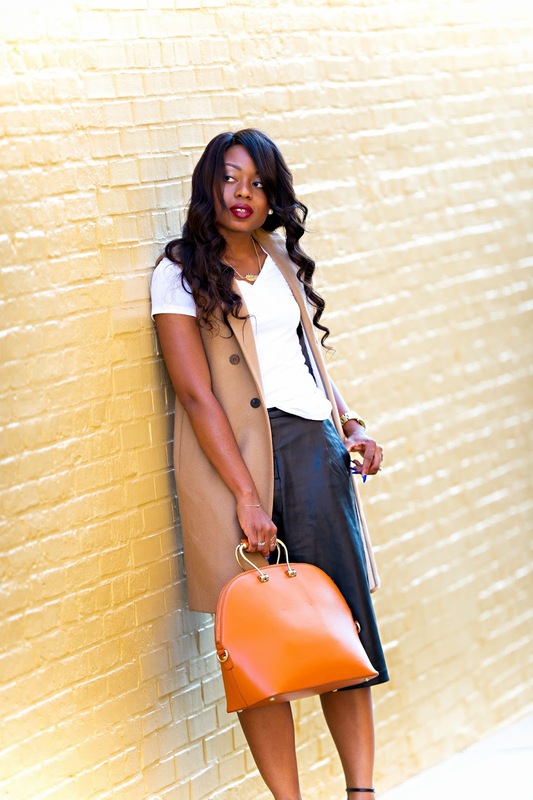 I wore the outfit on this post to Nordstrom's Beauty Trend show a few weeks ago. 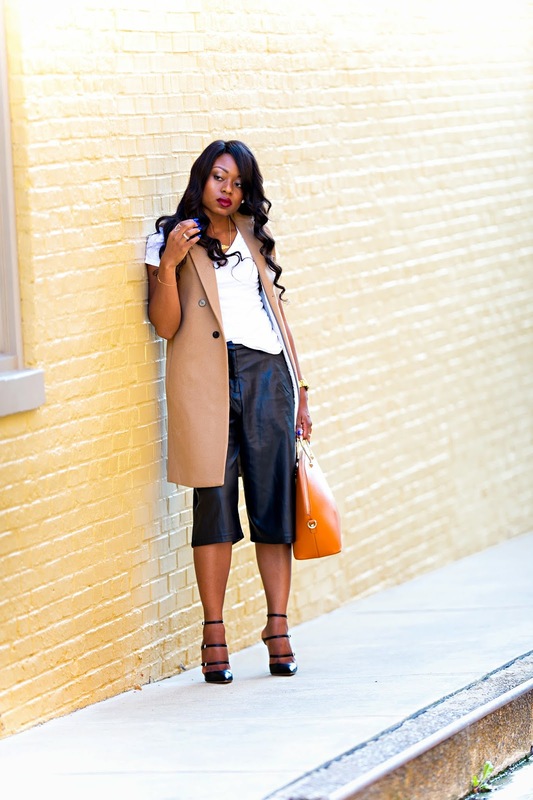 I wanted something casual, a bit edgy and fun and culottes perfectly fit that description. 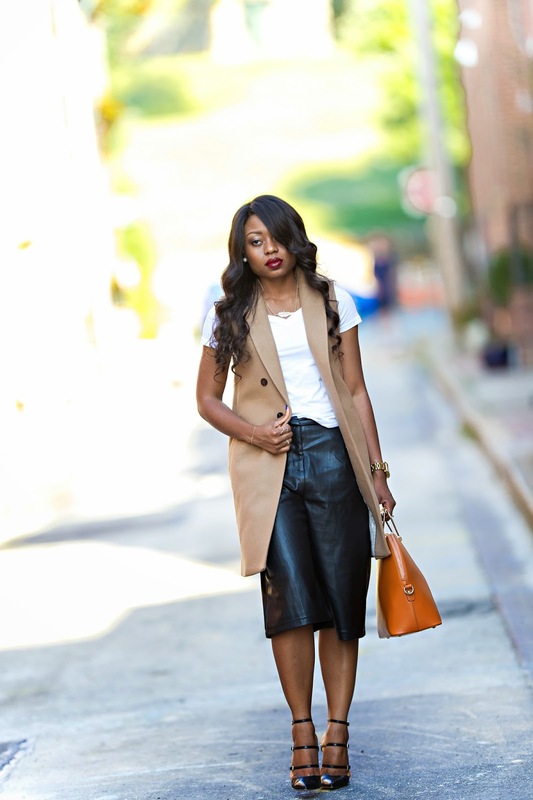 I paired the leather-look culottes casually with a Target tee and a Mango vest. 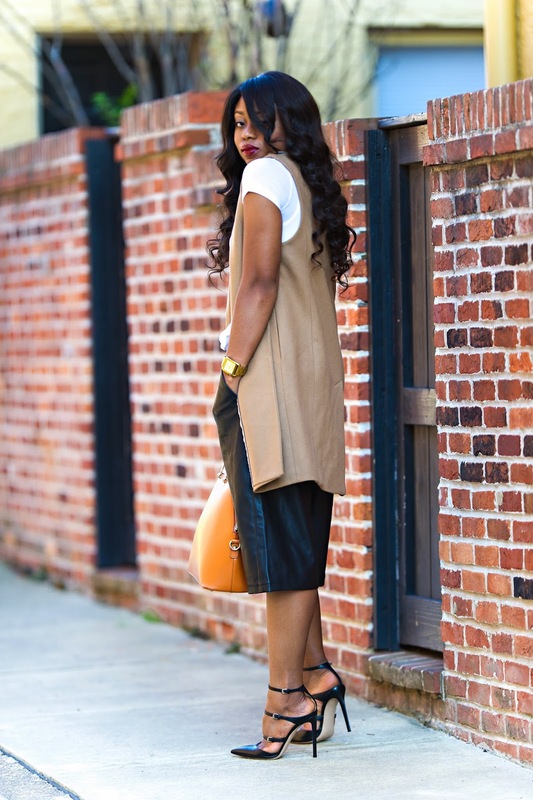 The Mango vest is an item from my previous “Lust List" post; I love it! 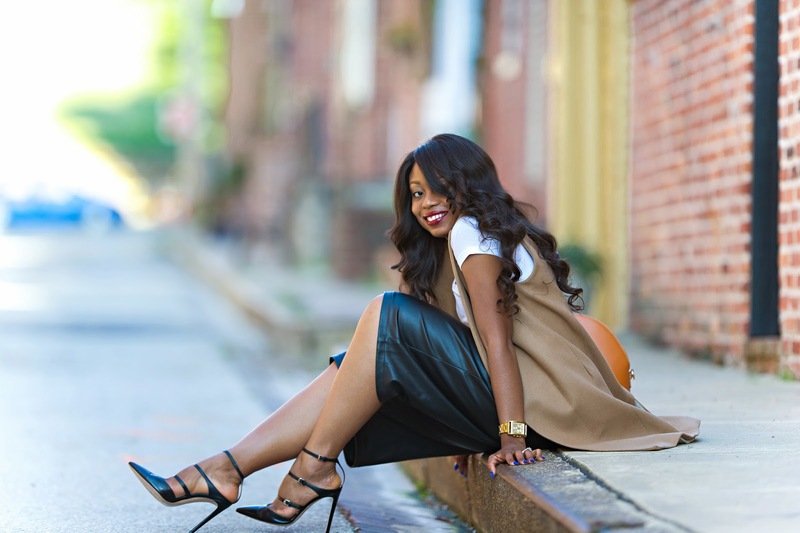 I wore my gianvito rossi strappy shoes which I love and completed the look with a NARS berry lipstick, which is a must have for the fall season. As always, thank you for stopping by...have a wonderful week! amazing outfit! 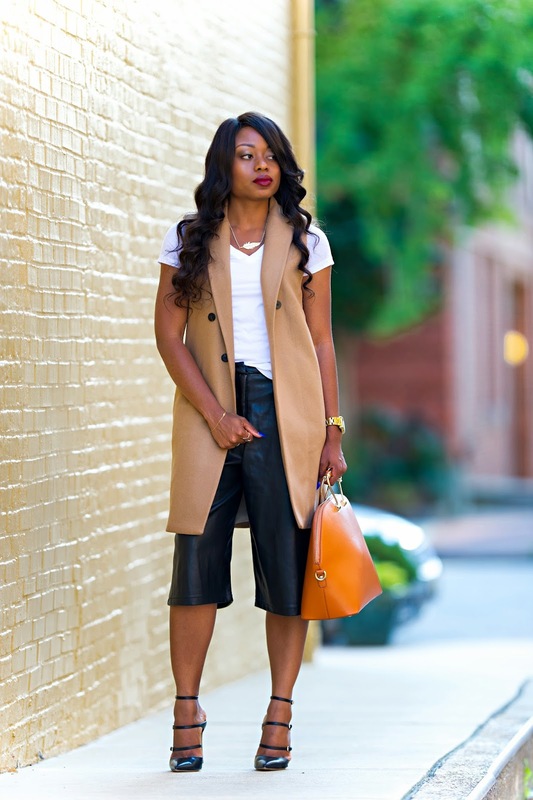 love the vest and the heels!